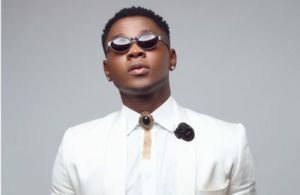 Kiss Daniel has announced the signing of two new members to his recently established Flyboy INC.
“I.N.C boys @tumislizz@uthy_omg and the latest addition @wickedestdjdino ? welcome to my TEAM brother ?? @flyboyincent“, that one of the signees, @wickedestdjdino, is a disc jockey while the other, @uthy_omg, is in the business of fashion.